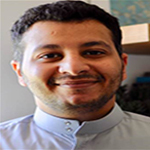 Aqeel Almuharraqi is working with the Bahrain Petroleum Company (Bapco), and he has been working in refinery process engineering and technical support for 23 years with particular expertise in fluid catalytic cracking. 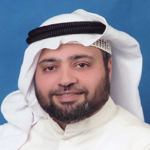 Aqeel Almuharraqi is working with the Bahrain Petroleum Company (Bapco), and he has been working in refinery process engineering and technical support for 23 years with particular expertise in fluid catalytic cracking. He has been involved in several projects, including the Refinery Gas Desulphurisation Project (RGDP), FCC Resid Processing Project, Fuel Gas Management Project and Hot Wash Section Revamp of vacuum distillation units. His current position is superintendent FCCU and Utilities, in the Technical Services Department, supervising and leading several process engineering groups to provide process engineering services on FCCU, refinery utilities systems, fired heaters and energy management. He had his Chemical Engineering degree from Newcastle University, and he is an associate member of the IChemE. Mrs. Jamilah Al-Mutairi was appointed Team Leader Process Engineering in Mina Abdulla Refinery (MAB- KNPC) on July 2017. 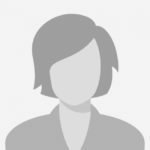 She has more than 17 years of rich and hands-on experience in process monitoring, troubleshooting, process improvements of Refinery process units, Utilities & Offsites and Energy Management. She holds Master degree in chemical engineering from Kuwait University in 2002. She played key role in developing one of the most advanced online tool for energy management in refineries. A detailed model of the steam, fuels, electricity, emissions, boiler feed water and condensates systems has been built, including all the interactions among these systems, real plant constraints and degrees of freedom of their operation. Other utilities systems have been also modeled for monitoring purposes such as air, nitrogen, flaring system, cooling water, sea water and hydrogen networks. This model is scheduled to perform automatic executions for the optimization of the entire system and is continually populated with validated, live plant data. 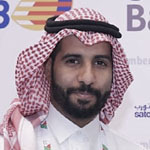 Mr. Mohamed Al Musharfy is holding BCs in chemical engineering obtained from UAE University, he started his carrier in ADNOC Refining back in 2003 when he joined as planning and coordination analyst looking after short, mid and long term plans for ADNOC Refineries. After that, Mr. Al Musharfy joined the business studies and development department in which he was initiating and managing business/development studies which are later converted to projects. 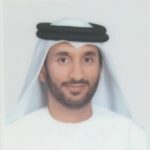 Currently Mr. Al Musharfy is holding the Engineering R&D manager position in ADNOC Refining Research Centre, he was amongst the first employees who moved to the Research Centre when it was established. 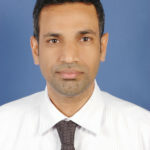 Being the manager of the Engineering R&D department, he is responsible for all process engineering/ modelling and simulation as well as material and corrosion studies in the centre, he is playing a major rule in linking the activities conducted in the research centre and the operations of the refineries and vice versa. Deep knowledge of hydro-processing sector (Hydrocracking and Hydrotreating). Specialized in hydro-processing units’ process operation in all aspects such as: design review, catalyst selection, catalyst loading, catalyst activation, startup, stabilization, optimization, shutdown, turnaround, best practices and troubleshooting. Deep knowledge of hydro-processing sector (Hydrocracking and Hydrotreating). Specialized in hydro-processing units’ process operation in all aspects such as: design review, catalyst selection, catalyst loading, catalyst activation, startup, stabilization, optimization, shutdown, turnaround, best practices and troubleshooting. In addition, has wide knowledge of refinery overall process and equipment operation, refinery integration and refinery optimization. Alok Srivastava is Technical Services Manager for Advanced Refining Technologies, joint venture of Chevron & Grace. He is based in Dubai and handles Hydroprocessing units in the GCC region. He has over 21 years of experience in the industry including working in Refineries for 15 years. He started his career with HPCL Mumbai Refinery in India and worked there from 1997 to 2004, mainly looking after FCC unit. 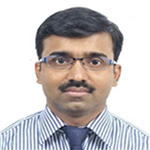 Alok Srivastava is Technical Services Manager for Advanced Refining Technologies, joint venture of Chevron & Grace. He is based in Dubai and handles Hydroprocessing units in the GCC region. He has over 21 years of experience in the industry including working in Refineries for 15 years. He started his career with HPCL Mumbai Refinery in India and worked there from 1997 to 2004, mainly looking after FCC unit. He later worked for KNPC MAB Refinery from 2004 to 2012, looking after Hydrocracker and Hydrogen Production units. He also worked in Engineering and Technical Services groups in Honeywell UOP for 4 years, prior to joining ART Dubai in 2016. 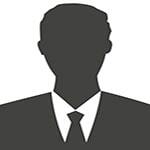 He has Operations, Commissioning, Design and Technical Services experience. Alok has a bachelor’s degree in chemical engineering from IIT Kanpur, India. Mr. David Renolayan is currently working for Saudi Aramco Domestic Refining and NGL Fractionation (DR&NGLF) under the Downstream Business Line. Part of the Technical Support Division which provides technical and business support services to four wholly-owned domestic refineries and two natural gas liquids (NGL) fractionation plants reporting to the refining executive management. Mr. David Renolayan is currently working for Saudi Aramco Domestic Refining and NGL Fractionation (DR&NGLF) under the Downstream Business Line. Part of the Technical Support Division which provides technical and business support services to four wholly-owned domestic refineries and two natural gas liquids (NGL) fractionation plants reporting to the refining executive management. He has over 12 years of experience in the oil refining business mostly in areas of process engineering, systems and control engineering. Mr. Renolayan started his Downstream career at Petron Refinery, the largest and most complex refinery in the Philippines. He held roles in process engineering, systems and control engineering working on several technologies under different licensors/vendors. During his stint in Petron, he was engaged on the first company offshore acquisition as technical member of the merger & acquisition (M&A) team who transitions ExxonMobil refinery assets in Malaysia to Petron. He also took part in the design and commissioning of grassroot refinery full conversion and expansion project as senior control engineer and eventually as chief process engineer for delayed coker, diesel and naphtha hydrotreaters, hydrogen plant and sulfur recovery units. Currently, as Technology & Process Engineering Coordinator, he coordinates the strategic deployment, and in some cases development, of disruptive technologies to create added value to operation. This entails active collaborations with Saudi Aramco corporate engineering and R&D, offshore subsidiaries and technology providers/licensors. He is also actively involved in several Saudi Aramco technical and strategy committees to tackle sensitive business directions. 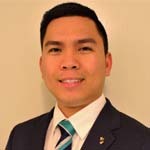 Mr. David Renolayan holds a bachelor’s degree in chemical engineering from University of the Philippines-Los Baños and member of IChemE UK, Saudi Council of Engineers, and Philippine Institute of Chemical Engineers. 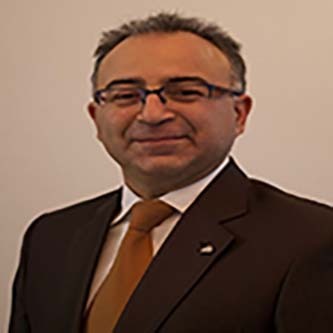 Fadi Mhaini is Director Technology Licensing for Chevron Lummus Global LLC, (CLG). He holds a M. Sc. degree in Process Engineering from the University of CVUT in Prague, Czech Republic. 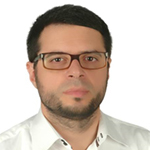 Fadi joined CLG in 2012, and has since worked in the designing and startup of hydroprocessing technologies. Starting his career in 1995, he joined ABB Lummus Global, where he held several positions as Principal Process Engineer and Commissioning-Start up Manager for Refinery and Petrochemical projects.